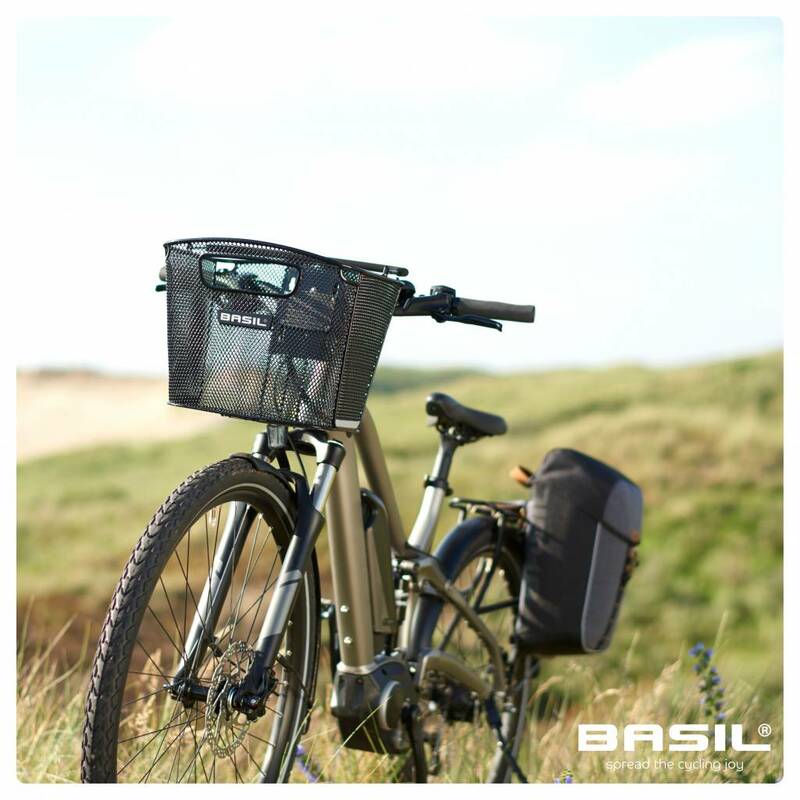 The Basil Bold Front Removable is a black bicycle basket designed to sit at the front of your frame. The basket has reflective details for visibility, is completely removable and is height adjustable. 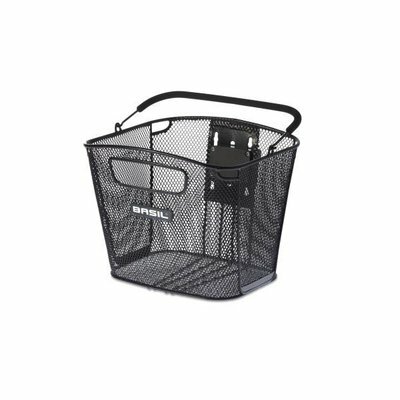 This user-friendly bicycle basket is made from hard-wearing steel for durability and features a removable design so you can switch it between bikes or free up from your main bicycle in mere moments. Whether you’re shopping or heading out to meet friends, this basket offers all the storage you need with a spacious interior offering up to 16 litres of capacity. Easily detachable at the hinge, you can remove it from your bike and be on your way in moments. Suitable for the Basil BasEasy System / KLICKfix System, you’ll need a matching adapter plate in order to fit it. Browse for the relevant accessories online today. Reflective details also make this a great choice for those conscious about safety. Part of the Basil Bold Front collection, browse the complete range online today. Suitable for the BasEasy System. Team up with a rain cover or mesh cover thanks to convenient hinges. Easily detachable with hinges and Basil BasEasy System. Reflective logos for enhanced visibility.